PowerStream Inc. (“PowerStream”) is a community-owned energy solutions company providing power and related services to more than 355,000 customers residing or owning a business in communities located immediately north of Toronto and in Central Ontario. It is jointly owned by the municipalities of Barrie, Markham and Vaughan. PowerStream has used the FileNexus® Document Management System to enhance their workflow processes since 1998 and is constantly finding new ways to expand its application throughout the organization. The Independent Order of Foresters™ (“Foresters”), a fraternal benefit society founded in 1874, is a life insurance and annuities provider headquartered in Toronto, Ontario. With over one million members in Canada, the United States and the United Kingdom, it is crucial for them to efficiently manage and securely archive their member and independent broker information. 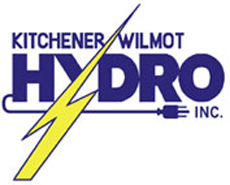 Kitchener-Wilmot Hydro Inc. (“KW Hydro”) is a local electrical distribution company serving 89,000 homes and businesses within the City of Kitchener and the Township of Wilmot, Ontario. In the summer of 2012 Canada Post approached KW Hydro to offer the new version 2.0 of epost™, a free digital mailbox and online bill presentment system. 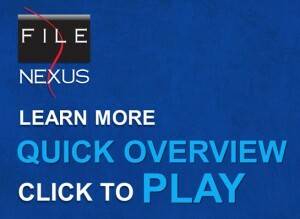 It was perfect timing—and a perfect project for the FileNexus® team. Equitable Group Inc. is a niche mortgage lender whose core business is first charge mortgage financing that is offered through its wholly owned subsidiary, Equitable Bank. Founded in 1970, Equitable Bank is a federally incorporated financial institution offering insured deposits. Equitable Bank serves single family, small and large commercial borrowers, and their mortgage advisors. It also serves the investing public as a provider of Guaranteed Investment Certificates (GICs), being licensed to issue GICs in every province and territory across Canada.